Leader of the Indigenous People of Biafra, IPOB, Nnamdi Kanu, has responded to criticisms by some critics accusing him of absconding at the height of the Operation Python Dance in 2017 that witnessed the Nigerian military’s invasion of his home in Afara-Ukwu Ibeku, Umuahia, Abia State. Reacting to critics who described him as ‘a coward’ for running away during the military invasion, Kanu who spoke on live radio broadcast from London, UK, wondered how someone without any weapon would face armed soldiers. He said; “I want to ask those that criticise me what they have done in their life. “I ran away because Jubril (Buhari) sent the military to my house to come and kill me and they expected me to stay and confront them. I’m unarmed just as IPOB members are unarmed group. “No one in Nigeria have done what I have done. I came home and I confronted the army, I went to their court, I was unlawfully detained, I went home, conducted rallies and they sent their army to come and kill me. “Nnia Nwodo, Okezie Ikpeazu, Obiano and Umahi are the one that signed and brought the army to kill me. “Yes I fled to Israel because it is the safest place for me and I needed to stay alive and achieve Biafra Republic. Tell those who said that I ran away to read their history book, they will find out that all the popular human rights activists, both dead and alive ran away when it’s the best time to,” Kanu asserted. Nnamdi Kanu was wise enough to escape from his murderers and every other right thinking human in his position will run 4/40 to prepare for the future. It is only a tree that stands still untill its hewers cuts it down. He is not a tree but human, with a purpose that must not be cut short. All his critics can go to the gallows for God's hand was solidly behind his escape mission and will continue to guide and direct him. If you're an Ibo man/woman, that is what "Ofo" and "Ogu" does for us. Keep your minds and hands clean! Those who gossip and ask why Nnamdi Kanu ran to Israel, have they asked why the Buhari/APC murderous Boko haram military was sent to kill him, his family members and young Biafran youths. Those who make such comments are genuine fools. 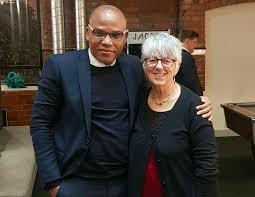 Nnamdi Kanu escaping and ending up in Israel is a divine providence and evidence that Biafra will be restored.